Ginger To Ease Nausea And Vomiting During Pregnancy! Home PREGNANCY TIPS Ginger To Ease Nausea And Vomiting During Pregnancy! Ginger is safe and helpful for treating nausea and vomiting during pregnancy. 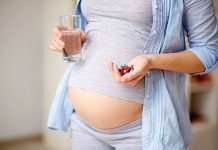 Most of the pregnant women hesitate to take medicinal drugs as they can be highly atrocious to the fetus, so they show great interest towards non-medicine options like acupuncture, acupressure, ginger, etc. 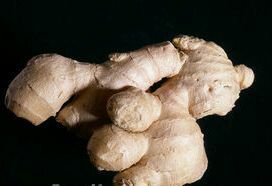 Gingerroot, a perennial plant that grows under the ground can suppress nausea and greatly boosts the digestive health. A usage of 250 mg of ginger capsules four times a day gives a significant benefit in severe hyperemesis gravidarum. Ginger can also be taken in liquid forms such as ginger ale, ginger tea and ginger beer. The effectiveness of ginger is due to its carminative, aromatic and absorbent properties. The active ingredients in ginger work against the morning sickness symptoms. Ginger can help to treat other sorts of nausea and vomiting that the patients are experiencing when taking the medications for cancer treatment as well. There are some concerns about the efficacy of ginger on the fetus. Taking ginger capsules for longer periods can result in heartburn and acid in your throat. These conditions can result when the baby presses on your stomach. Still more research is needed to conduct about the safety of ginger to your unborn baby. But, studies showed that taking 1 gram of ginger a day can be safe for everyone. When I was pregnant I was able to find these small crystalized suger cubes of ginger. They were pretty good because they also raised your blood sugar in addition to giving you the ginger properties. Nice article about Ginger To Ease Nausea And Vomiting During Pregnancy. I really found your articles informative and beneficial. I have had morning sicknes for 8 week havent been able to keep any food down for long i tryed ginger beer and it has helped me so much i dont even get that nausea feeling at all give it a try its unbelivable. unfortunately ginger did not work on me. It could ease a little bit some times, but it could not help me from getting rid of the nausea, headache, and heartburn especially in my 2 months pregnancy currently. I just found today that mangosteen could relieve me from those problem. The gas fom my stomach immediately went away after I eat mangosteen fruit. It is so amazing, my nausea went away in the 10 minutes. I just did some research that no wonder it works well on me. It is so called the “queen of the fruit”, the only fruit that contain so many super antioxidants. I am glad I found this fruit although it is so expensive, since ginger, zofran, does not help me, this mangostene fruit help me well. Hope you could gain the same benefit from this fruit too.